See more objects with the tag collectors, rococo, dining, asymmetry, vases, designers, luxury, fantasy, urns, ornate, print collectors, metalsmiths, curved, pitchers, acanthus. 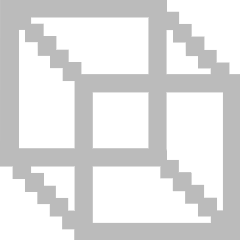 See more objects with the color darkgrey grey lightgrey dimgrey darkslategrey or see all the colors for this object. 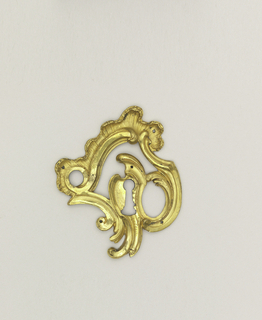 This and 71 other objects are a part of a set whose first object is Album, Album of Ornament. This is a Print. It was designed by Franz Xaver Habermann and etched by Johann Georg Hertel and published by Johann Georg Hertel and engraved by Johann Georg Hertel. We acquired it in 1920. Its medium is etching, engraving on white laid paper. It is a part of the Drawings, Prints, and Graphic Design department. 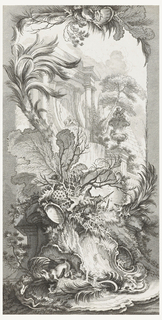 This print illustrates the fantastical ornamentation characteristic of German rococo. During the last quarter of the eighteenth century, designers competed to invent ornaments of bizarre imagination. By printing their designs for decorative arts, an artist could advertise their creativity and attract commissions from clients. 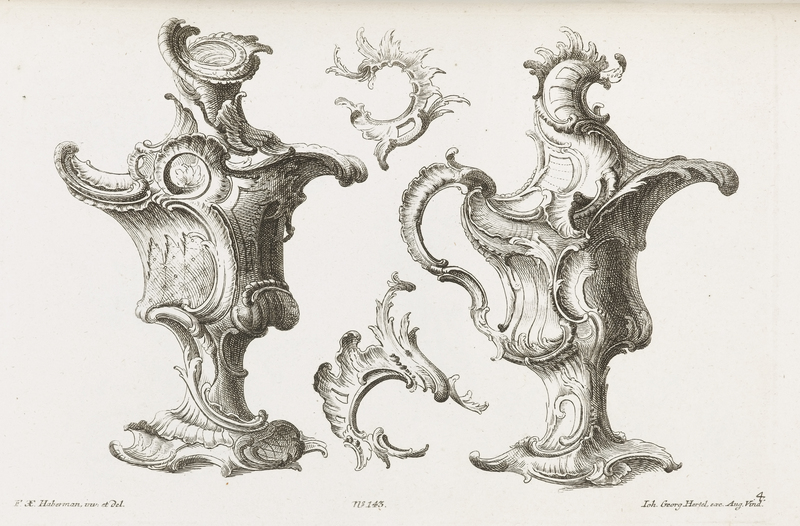 The portability of pattern books helped spread the French rococo style internationally. 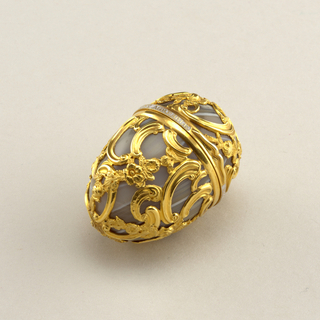 Designs were widely copied and sold among craftsmen working in precious metals. The sculptor and printmaker Franz Xaver Haberman worked in Augsburg, the most important German market for gold and silver. He turned to publishing his designs when commissions for wood sculptural decorations became scarce. Between 500 and 600 of his ornament designs were printed by the Augsburg publishers Johann Georg Hertel and Martin Engelbrecht. 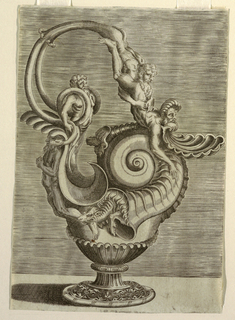 Habermann displays his training as a sculptor in this sheet of printed designs for ewer-shaped ornaments, incorporating cartouches, shell motifs, acanthus leaves and C-scrolls. Two auricular fragments could be applied as designs for wall decorations or furniture embellishments. 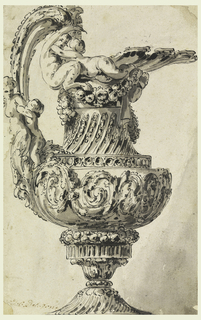 These flamboyant forms would have enabled a silversmith or wood carver to demonstrate his talent for replicating rococo ornament. This object was catalogued by Carey Gibbons. pen and black ink, brush and gray wash on paper. etching, engraving on white paper. raised and chased gold, carved gray agate, enameling on gold. This object was previously on display as a part of the exhibitions	Hewitt Sisters Collect and Rococo: The Continuing Curve 1730-2008.